The PUSH Tool is now easier than ever to use! 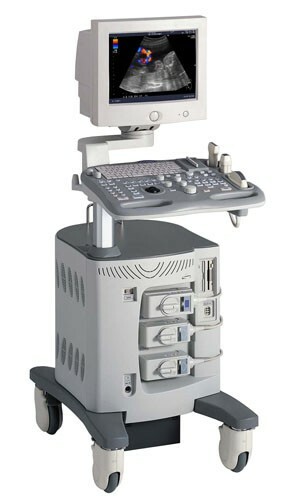 What every Long Term Care facility needs now! 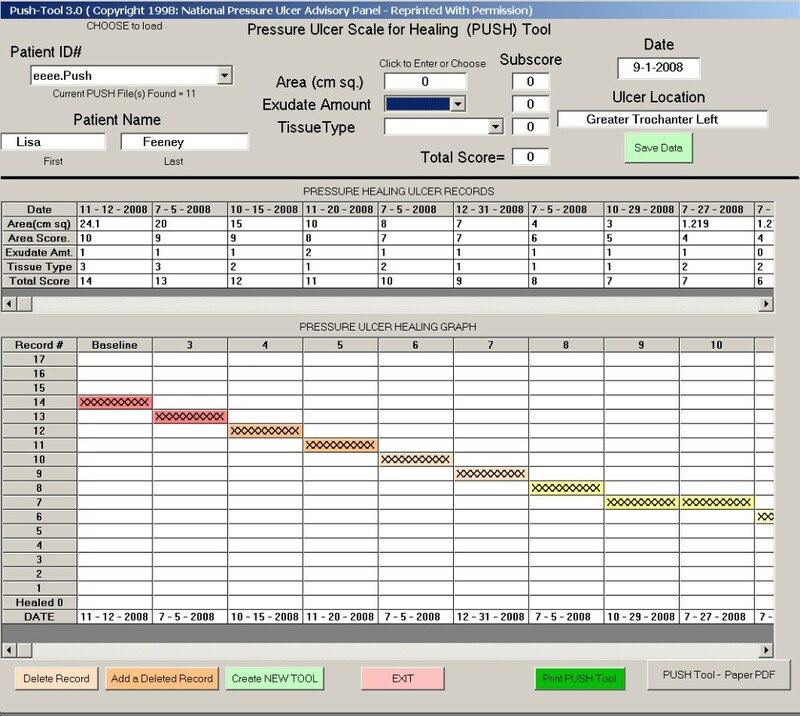 The Pressure Ulcer Scale for Healing ( PUSH Tool ) was developed by the National Pressure Ulcer Advisory Panel ( NPUAP ) as a quick, reliable tool to monitor the change in pressure ulcer status over time. It is a validated tool. PictZar® streamlines the process by automatically assigning sub-scores, adding and obtaining the total score, and then plots the total score on the graph. 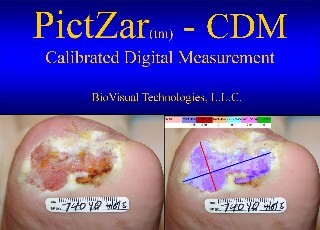 PictZar® enters the Total Score into a graph and plots the Total Score into the graph. 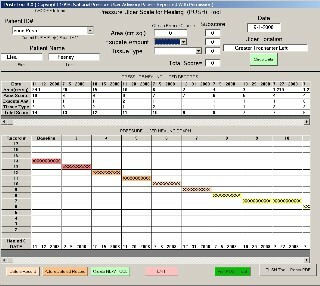 PictZar® save all the data and graphs for you to review or print anytime. time the ulcer is measured. applying any topical agent to the ulcer. Estimate the exudate (drainage) as none (0), light (1), moderate (2), or heavy (3). is any necrotic tissue present. Score as a “3” if there is any amount of slough present and necrotic tissue is absent. scored as a “1”. 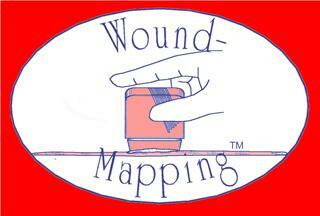 When the wound is closed, score as a “0”. edges and may be either firmer or softer than surrounding skin. 3 – Slough: yellow or white tissue that adheres to the ulcer bed in strings or thick clumps, or is mucinous. 2 – Granulation Tissue: pink or beefy red tissue with a shiny, moist, granular appearance. as islands on the ulcer surface. 0 – Closed/Resurfaced: the wound is completely covered with epithelium (new skin).